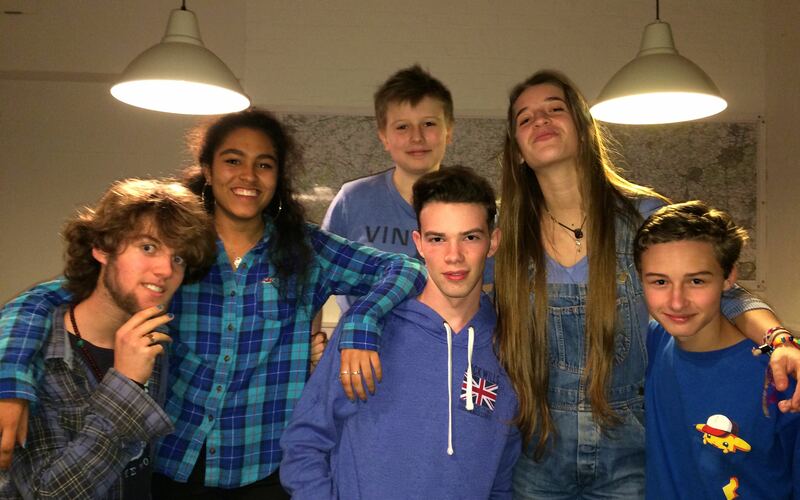 On the last day before half term, seven Block 4 teams took part in the final of the First Give Charity competition. The Programme encourages an entire year group of students to identify social issues in their area and engage with local charities that address them. The students then have the opportunity to compete for £1,500 of grant money spread between three charities. Teams do this by advocating for their charity in a competition-style ‘pitch’. The scheme of work promotes many aspects of Social, Moral, Spiritual and Cultural education within secondary schools. The finalists, along with their whole year group, had spent time since September choosing a local charity to support, visiting them and then producing a group presentation including PowerPoint slides and, in many cases, their own film. There were heats to decide which teams’ presentations were the most powerful and then these were entered into the final. The winning team, who were supporting Guildford-based charity, Disability Challengers, gave a very effective, moving and well researched presentation and thus won their charity £1000. The two runner-up teams, supporting Stone Pillow (a charity supporting the homeless in Chichester) and The King’s Arms (which supports young people in Petersfield) each won £250 for their charities. All the teams, regardless of winning even the heat, have raised money this year for their chosen charity. Students involved in the concert band, orchestras and choirs, as well as the soloists, performed in the annual Cecilia Concert on 25 November. The band, conducted by Keir Rowe, opened the evening with Johnny Warrington’s Original Dixieland Concerto and lively clarinet, saxophone and trumpet solos. The Orchestra, conducted by Nick Gleed, then performed the first movement of Schubert’s mysteriously unfinished Symphony No 8. The massive crescendos and subtle diminuendos added to the piece’s haunting melody. Shanise Liang was the truly inspiring piano soloist during the second movement of Shostakovich’s Piano Concerto No. 2 with Will Lithgow conducting the Chamber Orchestra. After a lively interval with mince pies and the annual collection for Cecily’s Fund, clarinettist Finn Carter played an intimate jazz piece with Nick Gleed accompanying on piano. The evening ended with the combined choirs singing Nick’s harmonisation of I Will Survive, followed by Parry’s well know anthem, Blest Pair of Sirens and the eight-part choral work, I was Glad. Parents, students, staff and friends of Bedales who attended the concert all enjoyed it immensely. *The Cecilia Concert was set up in memory of Old Bedalian, Cecily Eastwood. More than £14,000 has already been raised in support of Cecily’s Fund, which aims to support and educate orphaned victims of aids in Zambia. Ten Bedales Sixth Form students fundraised for the Royal British Legion in Petersfield town during the Service of Remembrance on 8 November. The service was led by The Reverend Will Hughes of St. Peter’s Church, who spoke about the sacrifices of fallen soldiers and how we may honour their memory. The service finished with wreath-laying at the war memorial. We were all delighted by the incredible generosity of everyone who donated to the Royal British Legion, and who came to pay their respects despite the cold and rain. Meanwhile, on 11 November, Michael Rice from Block 5 played bugle outside the Memorial Library to the gathered staff and student body. 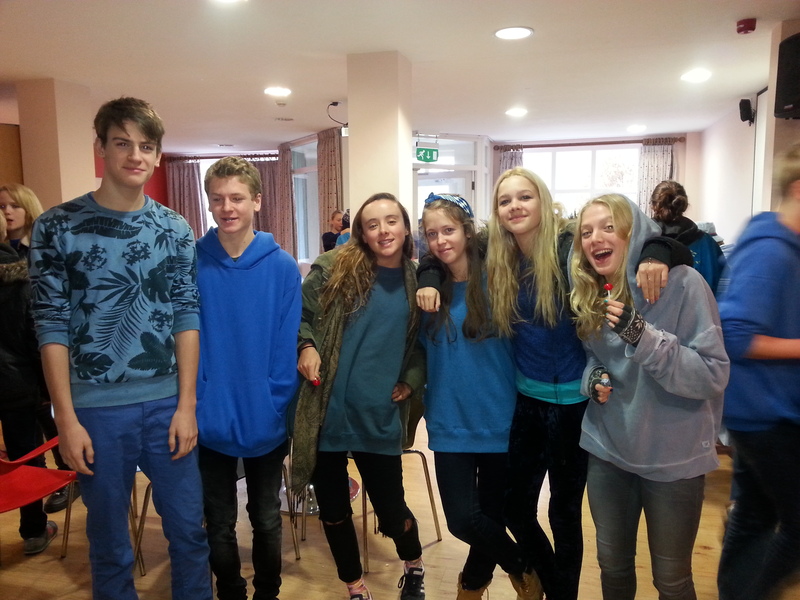 It was wonderful to see the whole Bedales community express their support for the Go Blue for Ebola initiative by wearing every conceivable shade last Wednesday. 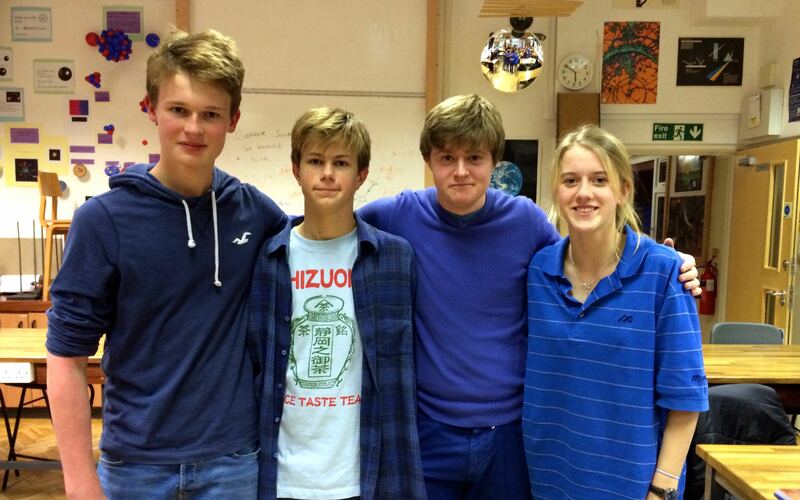 Organised by sixth formers’ Cameron Cross and Esme Allman, and OB Patrick Burrowes, the event saw students of all ages donning blue garments in support of the troubling epidemic in West Africa. On top of this, I was lucky enough to put into action a fantastic initiative by Digby Neave (6.2), in which students took part in a charity lottery. Their contribution shall go directly towards the fantastic work of MSF, the French medical charity supplying doctors working at the very heart of the humanitarian issues of the day; one lucky student will be awarded a cash prize to spend as they please. Donations are still being made through the Justgiving page from Bedalians and also other schools who have been motivated to join the cause. In all, an active week for global Bedales and more promising initiatives to come! 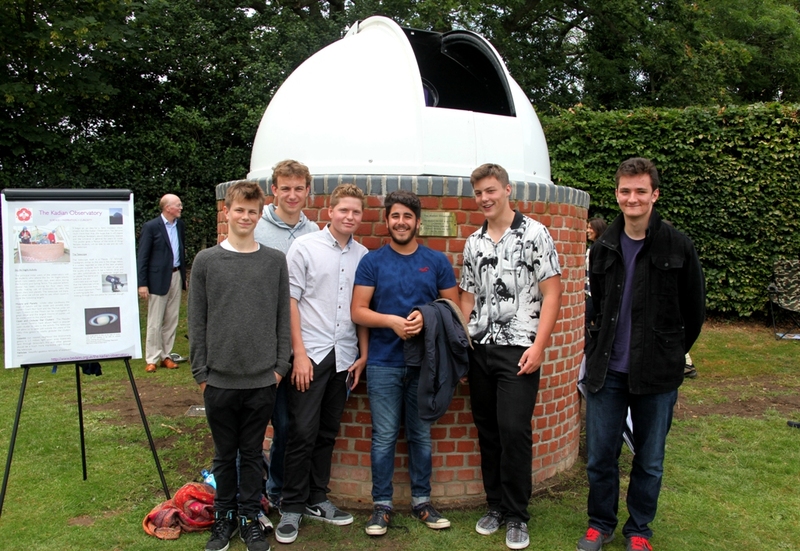 The Kadian Observatory was officially opened on Parents’ Day. Naveed Khalessi (Block 5), Peter Coates, Michael Truss and Thomas Harding spoke movingly about Kadian Harding, the inspiration in building the observatory, and the new opportunities for astronomy and Science exploration; Sam Harding cut the ribbon wrapped around the wonderful student-built structure. As the engraving states on the building’s brass plaque: “Kadian’s friendship was infinite like the universe.” The family has established the Kadian Observatory Fund in conjunction with the school to ensure the students’ work is maintained, treasured and utilised by present and future Bedalians. Over £17,000 has already been raised towards the target of £100,000. Find out more about the fund and how to support it, and discover more about Kadian. View photos of the opening. Read more.